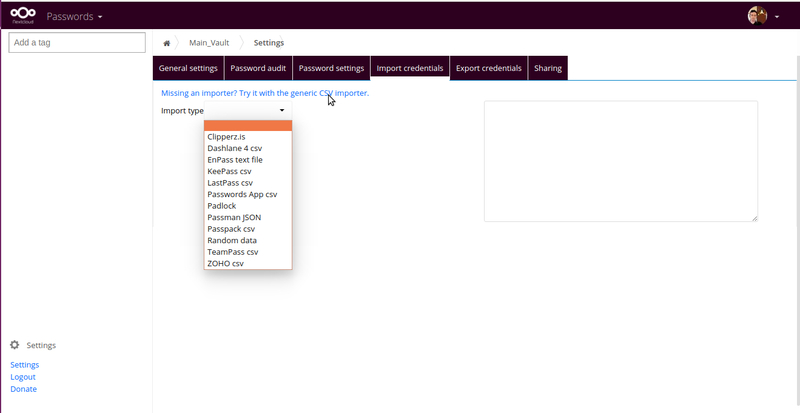 Passman is an Open Source password manager for the Nextcloud. There are a lot of password managers out there. 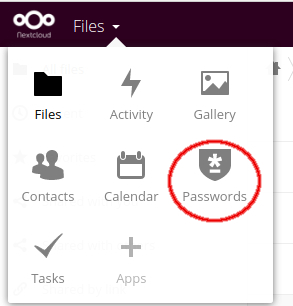 The difference here is that you have the control of your passwords stored in your Nextcloud. Below we will see the installation and usage of this great App. It’s worth your attention if you want to have the full control of your passwords. We assume here that we have a fully functional Nextcloud v11.x.x or v12.x.x instance. We go to Apps (+ sign), and in the Tools section, we find the Passman App. We enable it. We open it, and we create our first Vault. We give it a name and a password strong enough to keep the Vault safe. Pay attention to the info about the sharing keys. 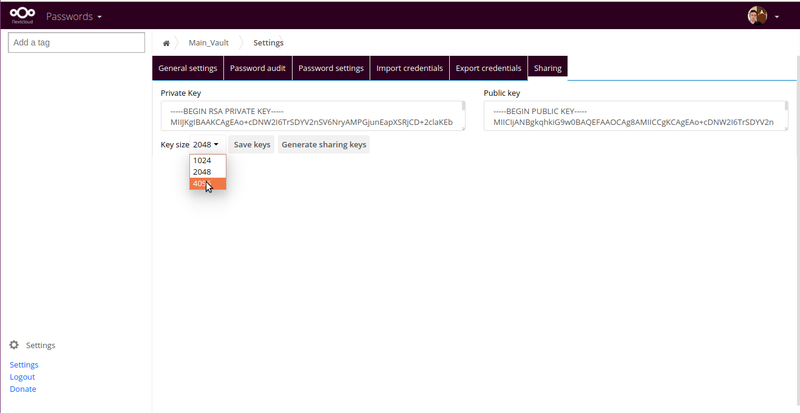 We will see how to change our sharing keys strength later on. What we have to do now is to fill our empty Vault with credentials. We have several options like importing from various other Password Managers, or we can use a .csv file. 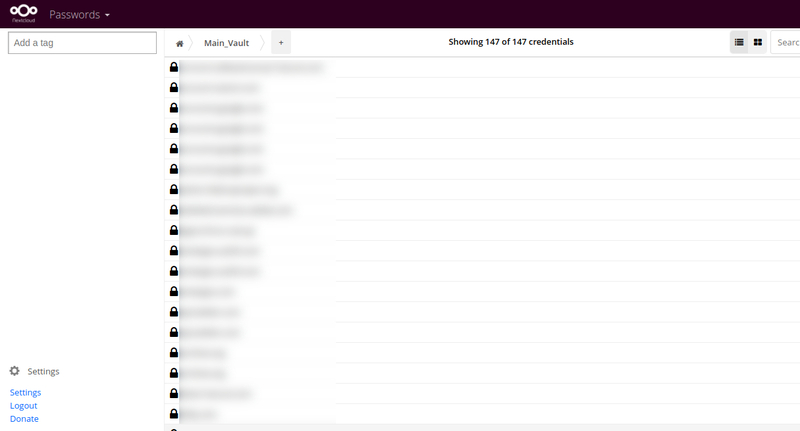 I used a .csv file that I have created by exporting all the passwords I had in Google Chrome. After that, we will see all of our credentials on the Main page. The last step in order using Passman productively is to install any of the two Browser Plugins available. I, as a user of Chrome, selected the Chrome Plugin available at the Store. 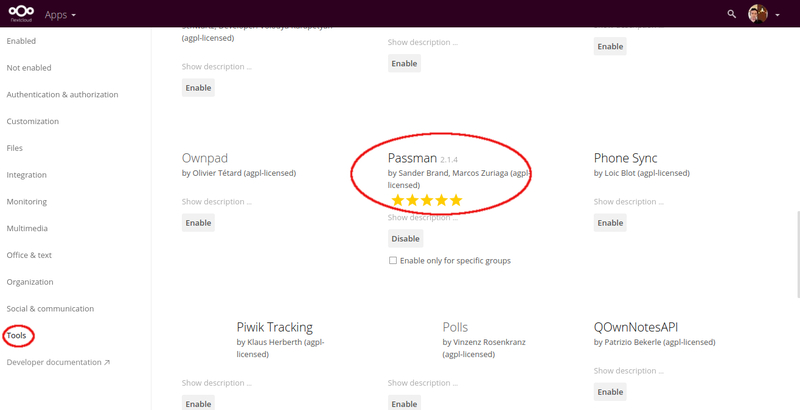 The setup and usage of Passman Plugin are very straight forward. Just follow the instructions. If you are using the TOTP App don’t forget to generate a new App password for Passman. Passman will ask you to Login into your Nextcloud Server because it needs access to the Vault. 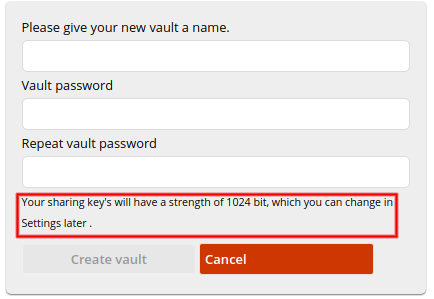 Also, it will ask you for the Vault’s password. You have to do this procedure one time only. Then it will work like a charm. The Passman Plugin will create a Master Password for extra safety. You can click the «Remember …» box or else it will ask for the Master Password every time you open a new session in Chrome to unlock the App. Passman will auto-recognize the sites and offer the username and password. You will see the Passman icons in Username and Password fields. Of course, this is the basic usage of Passman. It can also help you generate strong passwords, analyzing the password strength, etc. For more, check the Passman’s Github Page and also the Main Page. More screenshots you can find here. If you enjoy this App, don’t forget to Donate to help the development and further enhancement of the project.